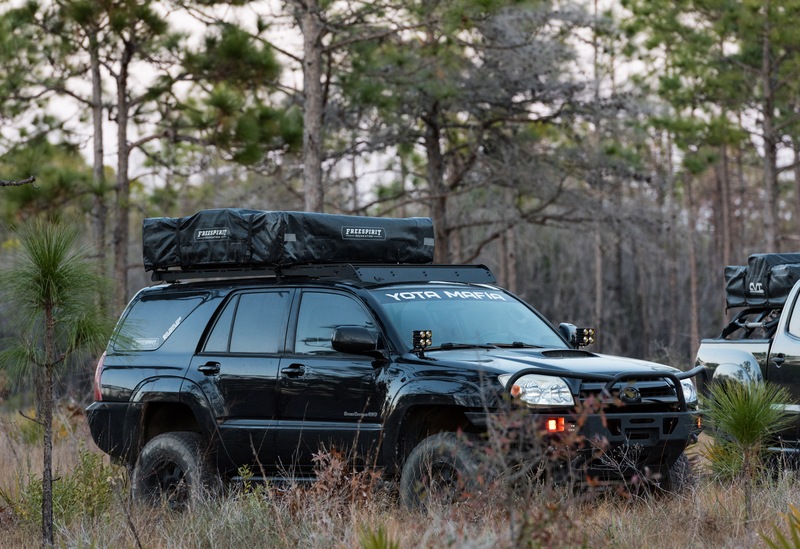 The Toyota 4th Generation 4Runner roof rack is a modular, adjustable, and completely bolt together roof rack for your T4R4 4runner. The rack consists of 2 full length laser cut side rails constructed of 1/4″ 5052 aluminum plate. These rails extend the entire length of the vehicle, optimizing and spreading out the load bearing surface. 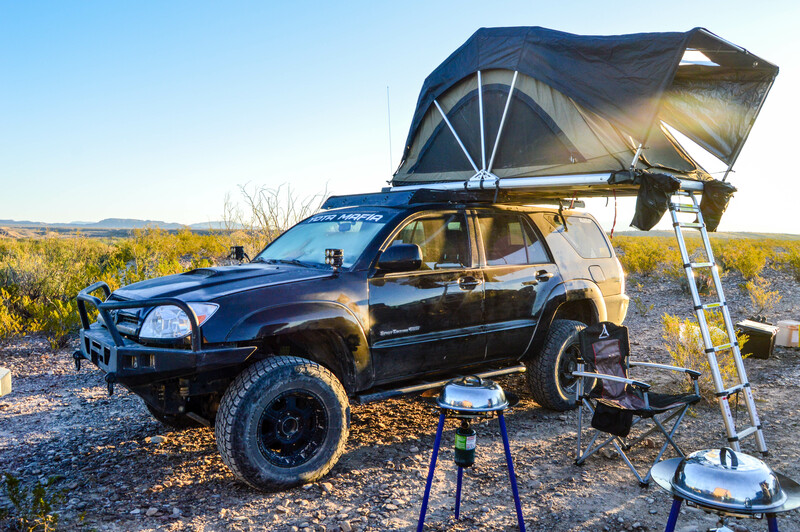 This design allows for superior strength and the addition of this roof rack without drilling or modification to your vehicle. The crossbars are made from a 2″ x 1″ aluminum extrusion that has T-slot channels on all 4 sides. This offers numerous solutions for tie down options, cargo security, and the addition of accessories such as tool mounts or lighting. The rack comes shipped in black powdercoat with black anodized crossbars. All assembly hardware comes in a black zinc finish so as to match a black paint or powdercoat finish on the final product. The rack is completely modular in that you choose how your rack is configured. You can also choose the number of cross bars you assemble your rack with. 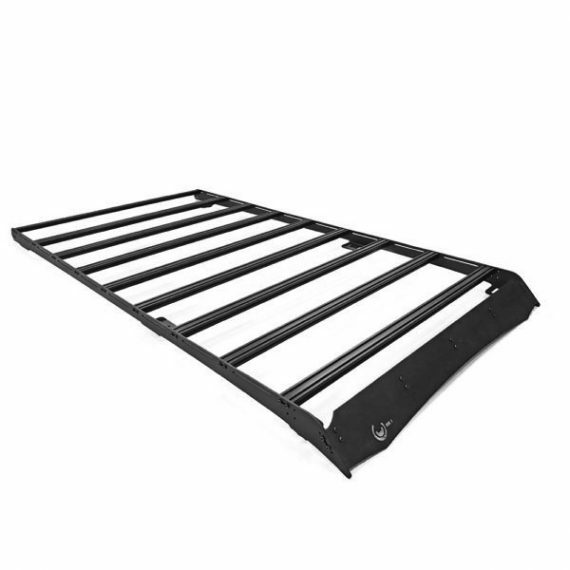 The rack comes standard with 8 cross bars for cargo with an additional 1 cross bar for mounting a wind deflector or LED light bar. 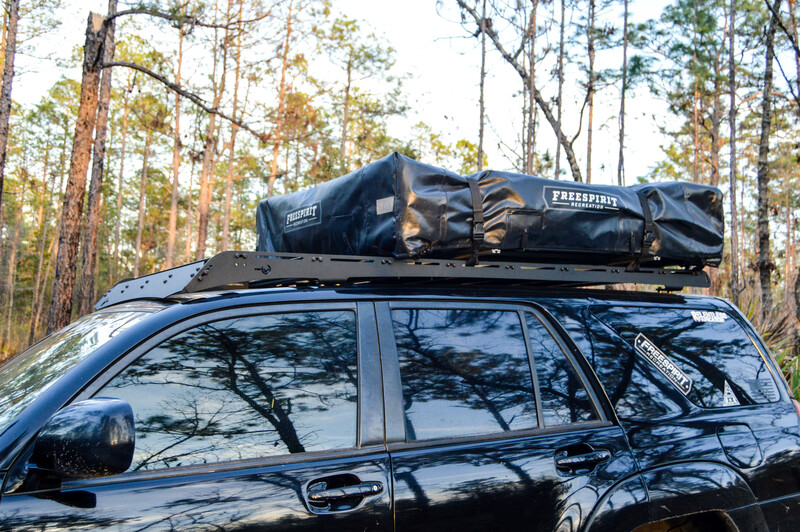 The rack comes standard with a 1/8″ 5052 aluminum plate wind deflector to improve aerodynamics and reduce noise.